Roy Pope Grocery is a great local grocery store in South Fort Worth. Roy Pope was recently voted Fort Worth’s best grocery store! We are honored to find a place on their shelves. 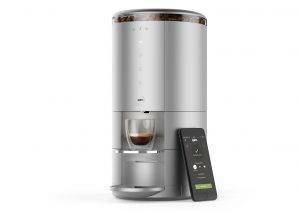 Spinn is an intelligent coffee making platform capable of extraordinary control and variability. Because the machine is Wi-Fi connected, it can learn, track, and communicate with you. Use Spinn to unlock the flavors of your most unique roasts. Save your preferences and you can always come back to that perfect cup. City Market has been in business for over 20 years, so They’ve built a solid reputation in the community for customer service and the highest quality that you can’t find anywhere else. Sunday Dinner Catering is a premier catering company offering our services in Fort Worth and the surrounding areas. They proudly serve Epic Coffee. Family Nutrition Center. Is a family operated natural foods market in cleburne, texas.